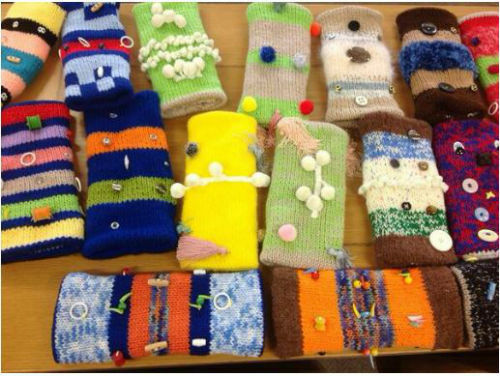 The Craft Club is making knitting twiddle muffs/sensory bands when they meet this Thursday, 6 April. They meet in the Lounge at the Congregational Church in Bowden Lane, 7 to 9 pm. Small charge for room hire and light refreshments available. New members very welcome. This entry was posted in Social event and tagged craft club, Market Harborough WI by marketharboroughwi. Bookmark the permalink.